Conti® Thermo-Protect is a flexible insulation material that sustainably curbs heat dissipation on industrial systems. It has been shortlisted TOP 5 for the Hermes Award 2012, an internationally respected technology prize. During the opening event at the Hannover Messe 2012 on Sunday evening ContiTech was recognized for its innovation. The Federal Education Minister Prof. Annette Schavan emphasized the practicality of the nominated products: "Our intention with this prize is to honor innovations that have already been tried and tested or that being used in industry." 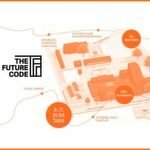 Prof. Wolfgang Wahlster, head of the German Research Center for Artificial Intelligence (DFKI) and chairman of the jury, stressed the high energy savings potential provided by innovations: "Of the top 5 products, two make it possible to cut energy consumption by more than 70%," said Wahlster. One of them is Conti® Thermo-Protect. "We are delighted to receive this nomination," said Heiko Eymer, head of the ContiTech Elastomer Coatings business unit. "It shows us that thanks to our dedication and hard work, we are heading in exactly the right direction and have developed an outstanding product." Hans-Peter Paulsen from the ContiTech Elastomer Coatings Innovation Team added, "With our silicone material, we can equip all relevant industrial systems worldwide. This enormous potential allows us to actively contribute to climate protection." The industry has been waiting a long time for a solution like this: The highly flexible Conti® Thermo-Protect system now makes thermal insulation much easier, more efficient and longer lasting, even for highly convoluted line systems. That is because this new ContiTech product can completely enclose complex piping systems, thereby reducing heat dissipation on these components by more than 70 percent. In the past, engineers often had trouble finding appropriate insulation material for difficult-to-access sections of piping systems - on valves or V- and T-pieces, for example. This upped energy losses. Now, however, Conti® Thermo-Protect insulation material from ContiTech offers a sustainable solution that is not only unique in terms of quality, eco-friendliness and cost, but also ensures permanent and complete system insulation. It is thus ideal for difficult-to-access or critical sections where conventional sealing or insulation systems are not up to the job. 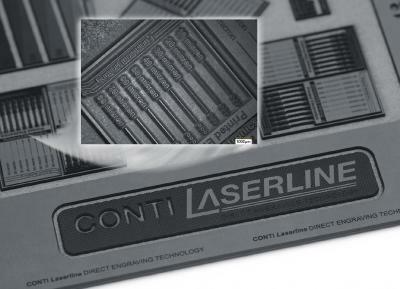 Conti® Thermo-Protect is extremely easy to handle thanks to its special microporous structure. "Like a bandage, it is easy to mold or wrap around any type of joint. At 130°C, the heat of the medium passing through the piping then helps it to permanently vulcanize on its own to create a stable molded part", says Alexander Papadimitriou, head of Industrial Products and Elastomer Sheetings at ContiTech Elastomer Coatings. "As soon as applied, the insulation material reliably does the job up to temperatures of 250°C. Nonetheless, the material remains flexible even at temperatures as low as minus 50°C. A material thickness of just 10 mm is all it takes to reduce heat loss by approx. 50 percent." ContiTech developers are already hard at work on the next generation of Conti® Thermo-Protect for special temperature ranges. Thanks to its insulation properties, the material offers additional protection for people working on machines and for mechanics: The material joins up with the adjacent material, ensuring total insulation. This reduces the temperature at the workplace. Over the long term, it also minimizes the risk of burns due to accidental contact with exposed controllers or slide valves and offers effective protection against impact injuries. Conti® Thermo-Protect is all the more practical because it is easy to install and, above all, to remove - for pipeline servicing, for example. Dealing with the material does not require any special expertise, so you do not need to enlist outside help to install it. 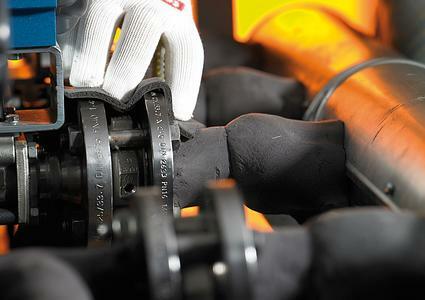 What's more, as a vulcanized molded part, Conti® Thermo-Protect can be reused at any time and is eco-friendly. Thanks to its outstanding durability, it also represents an economical alternative to existing solutions. Deutsche Messe AG is presenting the Conti® Thermo-Protect insulation material in the "tech transfer - Gateway2Innovation" forum in hall 2 at the Hannover Messe. 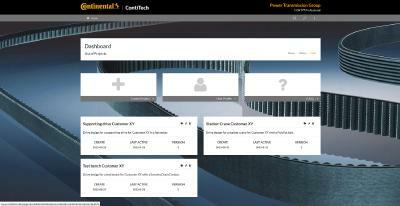 ContiTech is showcasing this innovation at its booth (A 16) in hall 5.